Council-owned car parks across Darlington have secured two national awards for their safety and accessibility. Darlington Borough Council’s car parks have been accredited the national Safer Parking Scheme’s ‘Park Mark’ for being well-managed and meeting specific quality and safety criteria including CCTV, lighting levels, cleanliness and signage. They have also achieved Disabled Parking Accreditation (DPA) after an assessment demonstrated they met strict criteria for the provision of spaces, accessibility and clear enforcement of disabled bays. Inspector Chris Knox, of Durham Constabulary, explained: “Darlington Borough Council has a programme of investment in its car parks which has been acknowledged by the award of the Safer Parking Scheme’s ‘Park Mark’. Councillor Nick Wallis, cabinet member for leisure and local environment said: “Community safety is a priority for us and we want those who live, work and visit the borough to feel safe when they are here – that includes ensuring our car parks are safe and secure too. 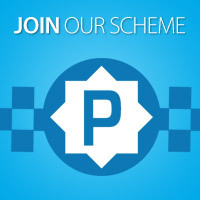 The Safer Parking Scheme is a Police Crime Prevention Initiative (Police-CPI), managed by the British Parking Association, and is aimed at reducing both crime and the fear of crime in parking facilities. The Safer Parking Scheme is a national standard for UK car parks that have low crime and measures in place to ensure the safety of people and vehicles. 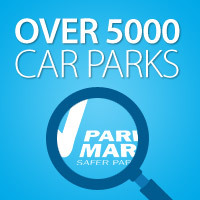 A Park Mark is awarded to each car park that achieves the challenging standards. The distinctive Park Mark signage helps drivers find car parks where they can confidently leave their vehicle, knowing the environment is safer.